How are you planning on enjoying this gorgeous spring weather? If family bonding in the outdoors is high on your list, our frugal finds for family fun will make for an unforgettable day! These adorable hats will keep the sun out of their eyes and their manes tamed. 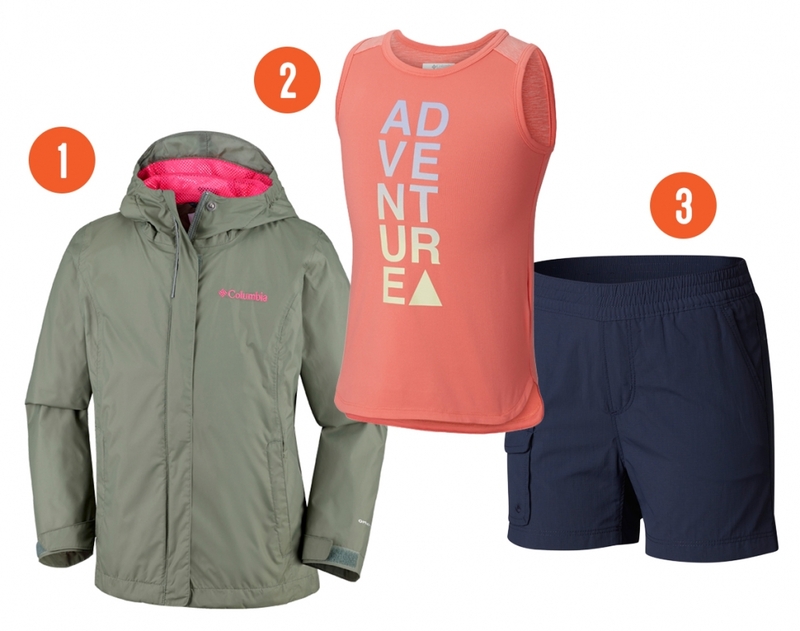 These moisture wicking shirts offer UPF 50 sun protection, to keep your little explorers protected and dry on warm days. This compact bocce set can accommodate up to 4 players – perfect for the whole family. This bright disk can be folded to take up minimal space, and is a great way to include fido in the fun. 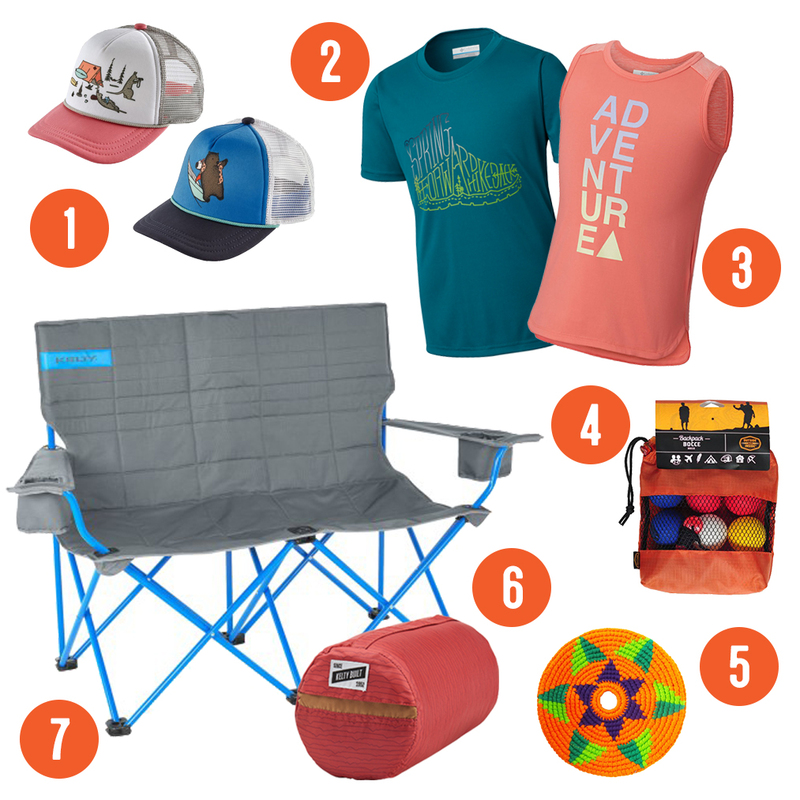 This lightweight throw works well for picnic spreads and chilly peaks alike. Portable seating doesn’t get any comfier than this roomy loveseat. Our most coveted sample set of the season lands at our Asheville location on Saturday, March 2nd – and it’s going to be awesome! 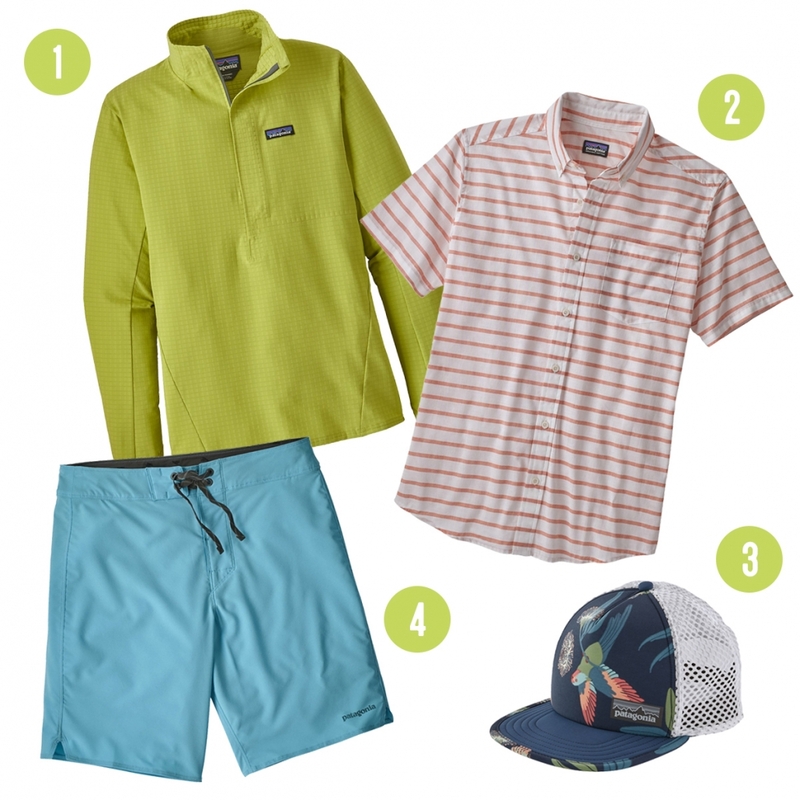 Stop by between 10am – 2pm for a first look at brand new spring samples from Patagonia. 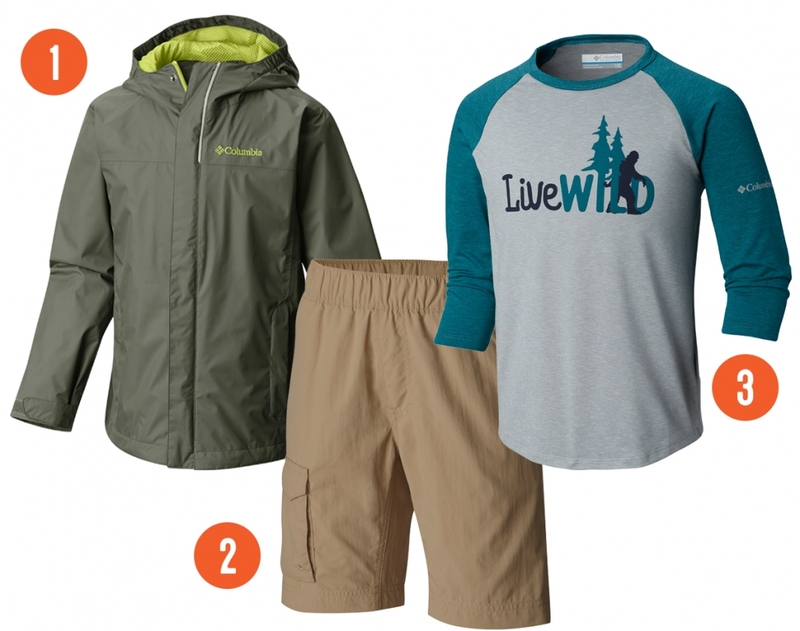 This sample set includes one of almost everything from Patagonia’s spring line for men, women, kids, and babies. These fresh arrivals are already frugally priced at 20% off MSRP. But Saturday only, you can score them at an extra 20% off sample price. 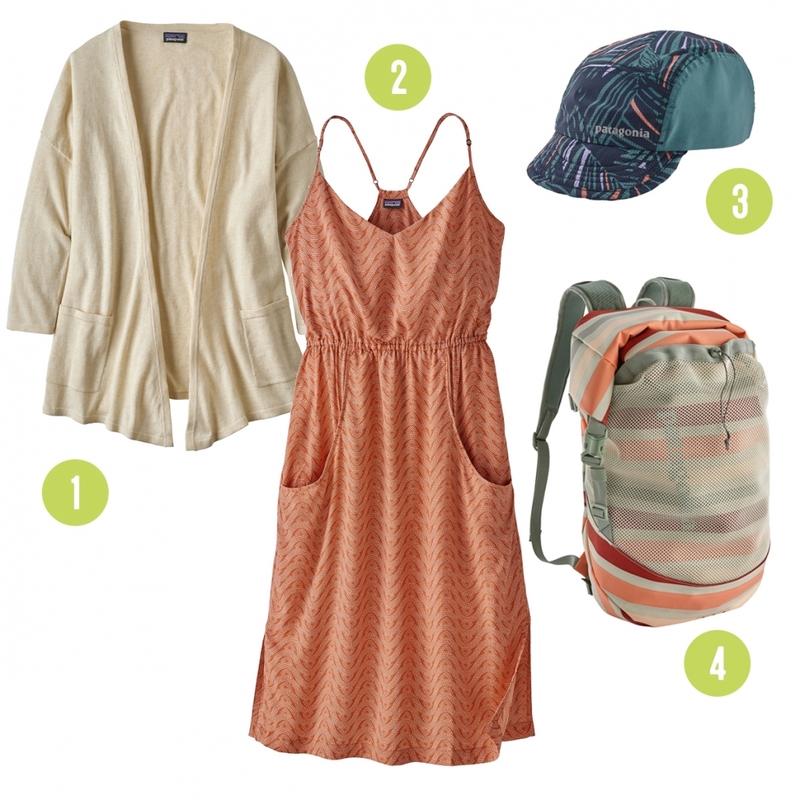 Check out our favorite finds below + stop by this weekend to check out the whole line. 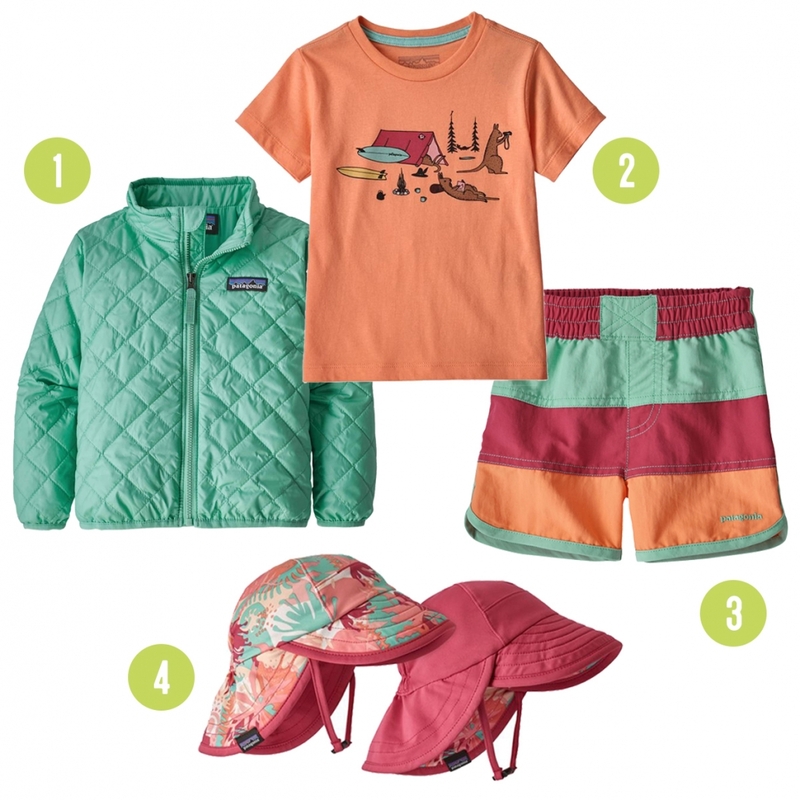 Patagonia samples come in women’s small, men’s medium, kid’s medium, toddler 2T, and baby 24 months. 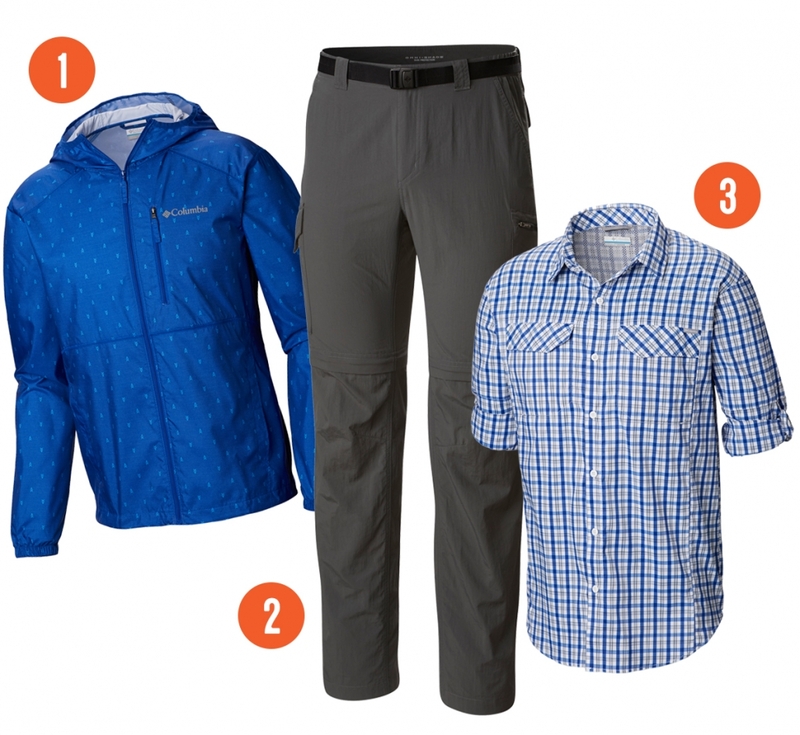 Spring break is just around the corner, are your clothes up for outdoor adventures? Our new arrivals from Columbia can handle anything your family getaway throws their way. Check out our favorite finds below + stop by to shop our whole line up. 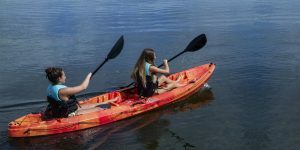 Whether you’re brand-new into kayaking, or a paddler with years of experience under your belt, dropping thousands of dollars on a single boat is a hard decision to make. 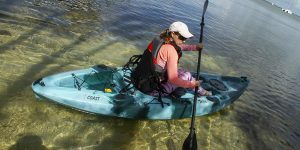 So, we here at Frugal Backpacker made your decision just a bit easier by adding Tidal Watersports’ affordable Coast and Dually kayak models to our store. You can find more information about both of the kayaks below! Another great feature about Tidal Watersports’ boats is that they come with seats and paddles (1 of each for the Coast, 2 of each for the Dually); saving customers even more money! So, if you’re just now entering the paddling game, or looking to add another boat to your quiver, Tidal Watersports offer great boats at affordable prices. Come and see us at Frugal Backpacker in Westgate Shopping Center to take a look at these boats for yourself! https://frugalbackpacker.com/wp-content/uploads/2018/07/TidalWatersportsLogo.jpg 1310 3600 Frugal Backpacker /wp-content/uploads/2016/04/frugal-backpacker-logo.png Frugal Backpacker2018-07-17 15:50:262018-07-31 18:32:27Frugal Backpacker Has Boats!! Short Answer: Samples are current season items from top brands that we make available below MSRP. But seriously, where do they come from? Producing high-quality clothing is an involved process. About a year before you see items hit stores, top brands have already designed their lines and received finished samples of the final line. They use these samples to show retail partners the new line and help them make purchasing decisions. Why are they all one size? Typically, each brand rep will have a sample set that consists of one of each item, in a single size. Most brands produce their samples in a small or medium for women and a medium or large for men. However, sample sizing is not always precise. Occasionally you’ll find a small that fits more like an extra small or a medium that fits more like a large, so if you’re close to the marked size, try it on, you may be pleasantly surprised. How do you get the prices so low? At the end of the showing season, brands sell their samples to us at a reduced cost and we pass the savings on to you. Often you’ll find current season items, that are just hitting other retailers, for 30-50% off MSRP. How do I find out about new sample sets? Make sure you’re on our email list and like us on Facebook. 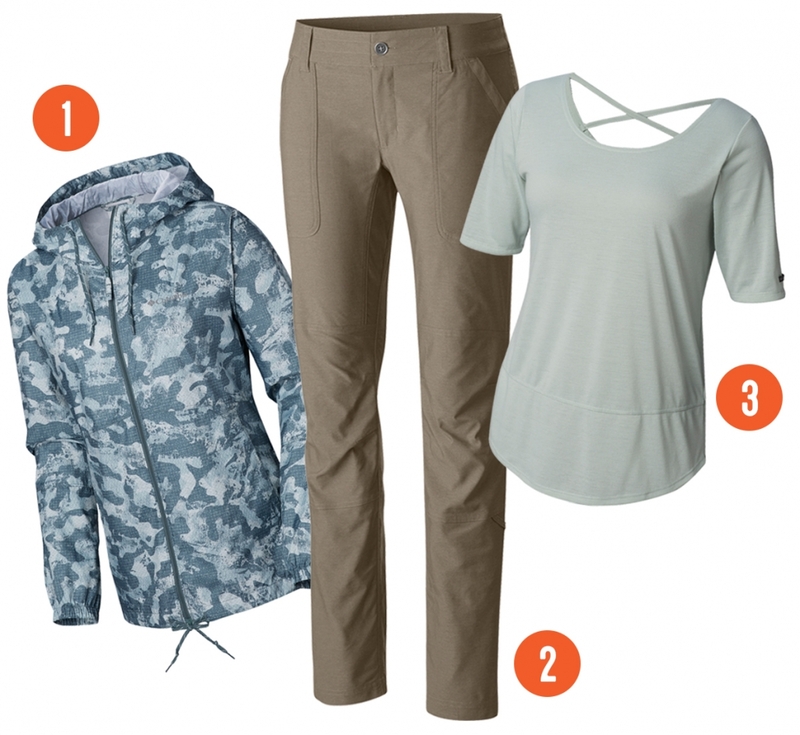 We try to let our frugies know when we get sweet new products in, and sometimes offer exclusive deals. https://frugalbackpacker.com/wp-content/uploads/2016/04/inventory.jpg 540 960 Frugal Backpacker /wp-content/uploads/2016/04/frugal-backpacker-logo.png Frugal Backpacker2016-08-17 14:40:172018-07-25 23:23:08What Are Samples, Anyway?